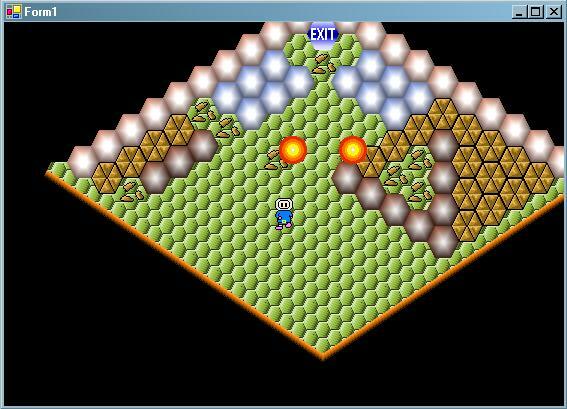 So, this is Bomberman Six, a little game that I was working on for C#. The game itself is going fine - the artwork is the major bottleneck. Why can't games just be simple and have simple drawings? Expect a goofy-looking monster in the next update. Here we see Bomberman blowing up a bomb.